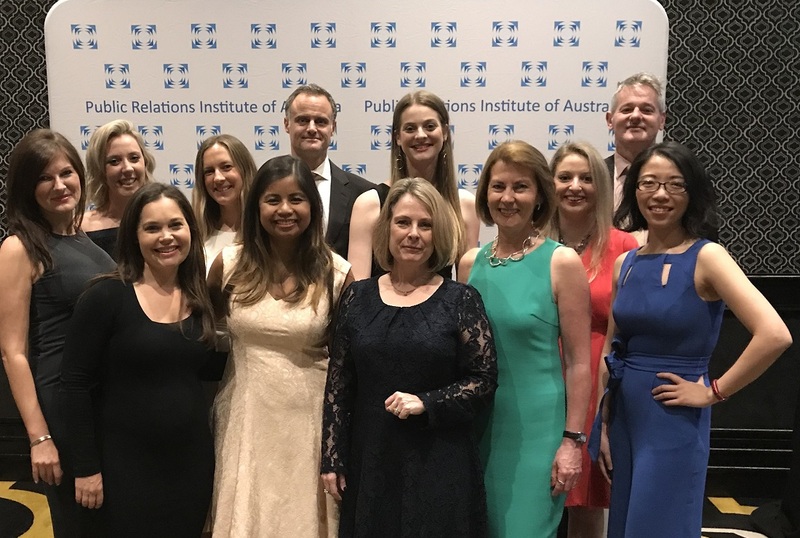 Last night Sefiani was honoured with three award wins and four high commendations at the Public Relations Institute of Australia (PRIA) NSW 2017 Golden Target Awards ceremony which recognises and celebrates excellence in public relations. Sefiani won best Crisis Management, best Issues Management and best Pro Bono Campaign for the work Sefiani conducted with privacy campaigner Brieana Rose (pseudonym, as she was the victim of a gross breach of privacy), which resulted in NSW Parliament introducing new laws to criminalise the taking and sharing of intimate images without consent. The campaign was also Highly Commended in the Advocacy and Public Affairs and Major Campaign award categories. A thought leadership campaign conducted with REST Industry Super: Employer Engagement – Future of Work and Bridge the Gap, was Highly Commended in the Business-to-Business category; and Sefiani Senior Account Director Shane Allison was Highly Commended in the Future Leader category. Sefiani’s sister consumer and challenger brand agency Kite Communications, won best Integrated Marketing and Communication Campaign for Tourism NT’s “Million Dollar Fish Season 2” campaign. Sefiani Communications Group was Highly Commended in the Medium-sized Consultancy of the Year award, recognising the agency’s growth, quality of client work, professional development of its people and achievements in the industry. Robyn Sefiani, Managing Director, said: “It’s a thrill to win awards when our work and agency is recognised as best-in-class by our professional peers and it’s great to celebrate these moments with colleagues. I thank the teams at Sefiani and Kite for their continued outstanding work and thank our wonderful clients for their support and belief in us as their communication partners”. Winning these awards at the State level qualifies Sefiani and Kite for the National PRIA Golden Target Awards to be held at a gala dinner on 9 November at the Sydney Opera House.